The actress wants it to be a reflection of her personal taste and style and so she is doing up the house herself. The decoration will be warm, and not over-the-top, she shares. The interiors will have Greek and Mediterranean influences. The scenic view that her house offers was a major factor in her choosing this four-bedroom apartment. Apparently, Gauahar wasn’t eager on buying a flat that overlooks other people’s homes in neighbouring buildings. 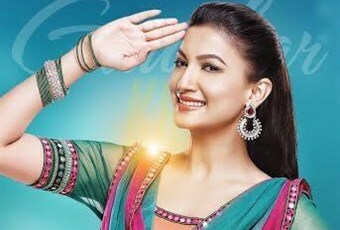 Gauahar is currently busy dubbing her debut Punjabi film, ��Oh yaara Ainveyi Ainveyi Lut Gaya�۪. She is also looking forward to her sister Nigaar’s wedding later this year.